Knowing the house edge of casino games is vital to deciding what games to play, and understanding how it works is central to any statistical strategy. If you're new to casino betting, or you've decided to take a more mathematical approach, the chances are you've encountered discussions about the 'house edge' or 'house advantage'. But what exactly does it mean? The house edge shows the advantage held by the casino (or gaming website) in any given game. It is a statistical calculation, expressed as a percentage, based on the discrepancy between the odds of something happening (you win) and the odds of it not happening (house win). It is therefore a representation of the statistical advantage that any game gives to the house. Another way of viewing the house edge is the average percentage profit the house should statistically make from bets over a prolonged period of time; or the average losses you would make if you played with large sums, over a long period of time with no strategy. And the more permutations a game has, the more complex the calculations become. House edge calculations are easily found for most popular games, making it simple to identify games that are good for beginners: those which will average out to a small cost for a lot of fun, or where a little luck can leave you up for the night. On a slightly higher level the house edge tells you how much you're risking if you push a lucky streak, and helps promote rational behaviour and fight gambler's fallacy with cold hard stats. But the most important use for the house edge is as a tool to dissect the mechanics of a game. By understanding where the odds are more or less against you, you can start to analyse the outcomes that push the payouts one way or the other, and try to turn the tide more in your favour. 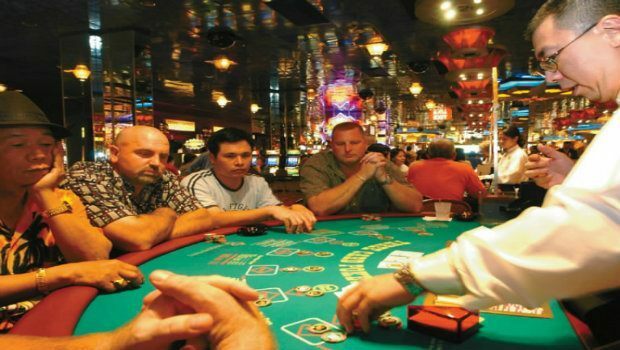 Blackjack is a prime example of where the house edge can help develop your strategy. In blackjack, the source of the house edge (generally 0.28%, but rule variations can complicate things) is the player bust - since the dealer automatically wins. So reducing the edge is about calculating when to hit and when to stick, based on the likelihood of going bust vs. losing on value. Once you've calculated the odds and made your decisions, you can road test your strategy online at 32Red Casino!